This month, we feature two top performers in the world of mentalism. First up is Chris Rawlins! He's a 27-year-old professional performer from England. Known for his workable methods and unique presentations, Chris has gained a strong reputation as a unique and original thinker. Join us to gain insight into his creative process and learn strong, one-of-a-kind magic that only Chris can deliver. Next up, is none other than Christopher Taylor! Many of the world's greatest mentalists and magicians have used Christopher's handiwork to achieve astonishing and impossible feats. Feats that have been featured in dozens of television magic specials alongside some of magic's most famous names, including Dynamo, David Copperfield, Aaron Crow, Criss Angel, and David Blaine. Join us as we welcome both Chris Rawlins and Christopher Taylor. 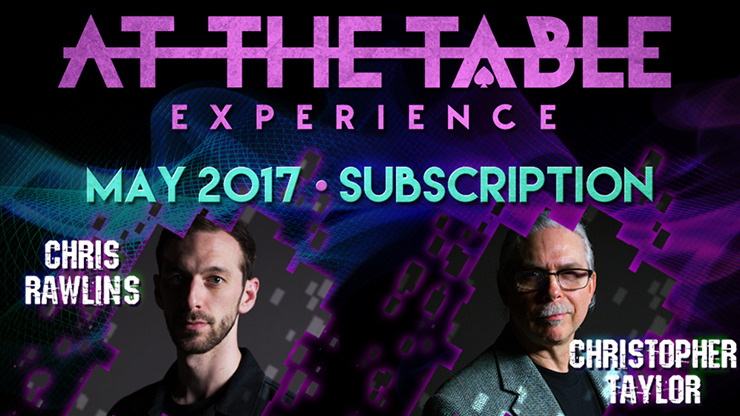 Be entertained, fooled, and learn some really amazing effects right here, At The Table.